Summer is finally here, and it is time to get out the grill once again! Barbecuing is all about the meat. 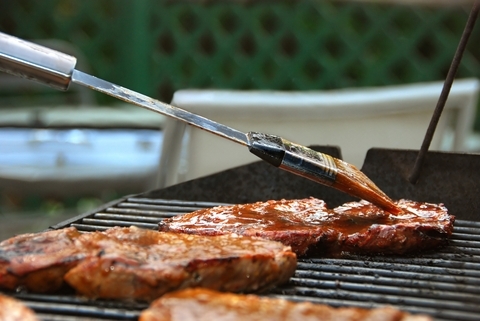 We all love to grill up steak, burgers, pork chops, bratwursts and more. All of that meat may taste delicious, but it has a way of wreaking havoc on our digestive systems. Meat, as well as other foods that are high in fat and low in fiber, can cause constipation! No one wants to spend their summers sitting on the toilet, so if you are looking for the relief that you need, then it is time to turn to our Santa Fe chiropractors. You probably want to know how chiropractic care could possibly help your bowels to get moving again. There are certain nerve cells in your intestines that cause your muscles to push, called ganglion cells. The ganglion cells are connected to the celiac ganglion, which connects to your spinal cord through nerve roots. When your spinal chord is misaligned, your vertebrae could be pushing on those nerve roots, which could impede the function of your bowel! Once your chiropractor realigns your spine, the pressure on your nerve roots will be alleviated and your bowels can function properly. A misaligned spine, combined with a steady diet of increased fat and decreased fiber, can create the perfect storm for constipation. Learn about how our chiropractor in Santa Fe can help you find the relief that you have been looking for. Get up off of the toilet and give us a call today to schedule your first appointment!